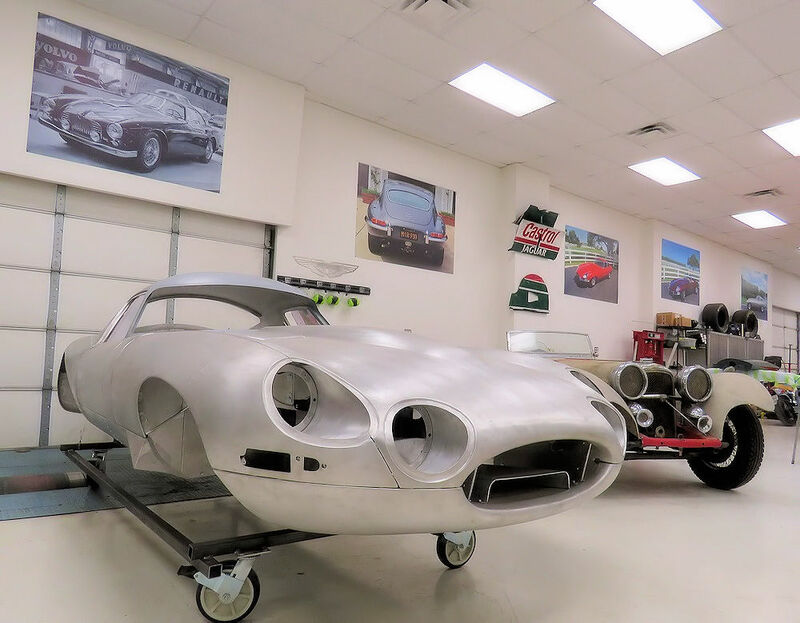 Classic Jaguar has been providing world class automotive restoration services for a discerning international customer base for almost 25 years. Our award winning cars have become the benchmark for Jaguar restoration the world over and our superbly engineered performance and reliability upgrades are fitted to literally thousands of classic Jaguars in every corner of the globe. 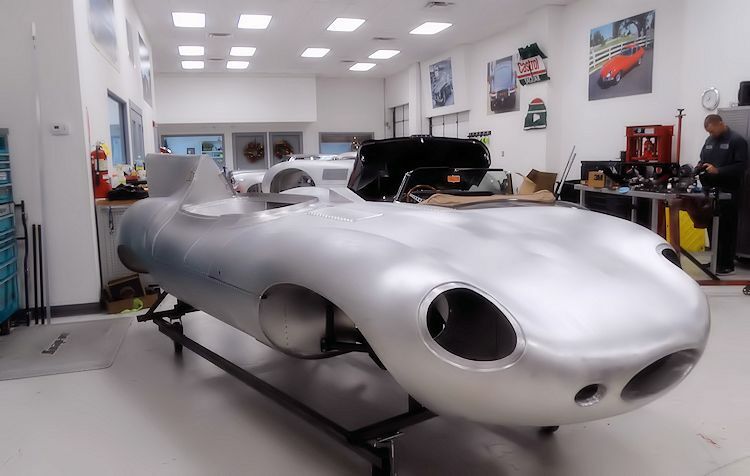 The Team CJ Alloy Collection pays homage to some of the legendary racing cars from Jaguar’s storied past, including the D Type, XKSS, Lightweight E Type and Low Drag Coupe. All cars in the Team CJ collection ride on the uprated running gear of a production E Type. Each car is hand built to order, allowing for bespoke seating and cabin ergonomics. Production is being strictly limited to a maximum of six examples per model. 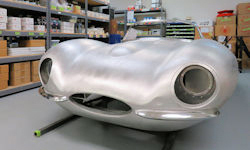 Team CJ Alloy Collection Jaguars feature beautifully crafted aluminum bodies that closely replicate Malcolm Sayer’s stunning, famously aerodynamic designs. Beneath the skin, the mechanical DNA is pure Jaguar. A variety of engine specifications are available, up to almost 400 HP and 445 ft/lbs of torque. 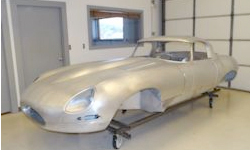 The price of a Team CJ D Type or XKSS includes the titled identity of an E Type donor car. 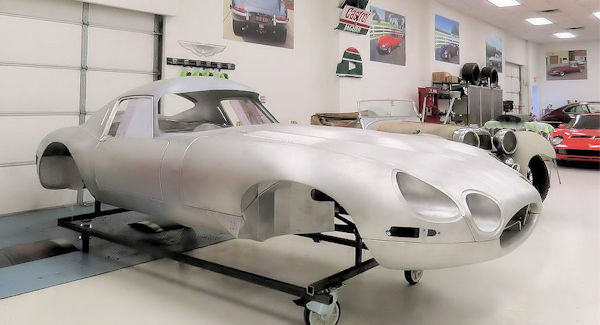 Lightweight E Types, including the Team CJ Low Drag Coupe, can be built utilizing an E Type donor car you already own, or we would be happy to provide a suitable car, at additional cost. All Team CJ Alloy Collection sports cars are 100% road legal. 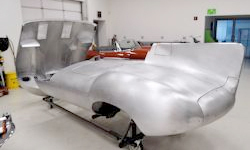 For more information on our Team CJ Alloy Collection cars, please contact us at Classic Jaguar or follow the links below.